Well it's officially the offseason for the Red Sox, but that hasn't stopped all the rumors about this team entering the offseason. 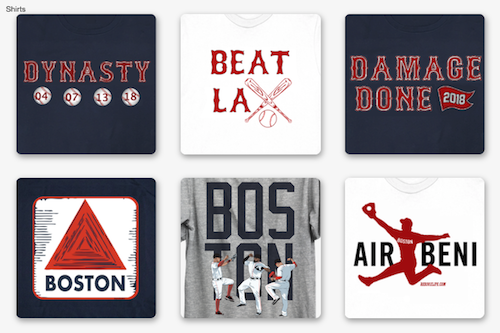 These Sox need some help entering 2015. From the infield to bullpen and everywhere in between, the Sox need to get better. I still don't see any blockbuster trades going on this offseason, but the team might make a number of small deals. Areas that must improve is the front of our pitching rotation, the bullpen and of course third base. We have the money to really improve this team, but will management spend it? That is the big question. My first roster projection had the Sox making many moves through free agency and the trade market. They picked up small names like Tyler Clippard, Trevor Plouffe, Andrew Miller, Brandon McCarthy etc. and a bigger name in James Shields. You can see my Red Sox roster projection 1.0 here http://www.redsoxlife.com/2014/09/red-sox-2015-roster-projection.html . RF Mookie Betts - No change here from 1.0, and there shouldn't be. Mookie has proved he's the leadoff hitter we need here. He should be an important player for us for a long time unless he's dealt. 2B Dustin Pedroia - Again no change here. Pedey will be the 2 hitter in Boston for a long time. Hopefully he can rediscover his power during this offseason after a few thumb and wrist surgeries. Papi that the Red Sox so desperately needed. DH David Ortiz - Nothing new here. Papi might be entering his last season with the Sox, but has been one of our most consistent players still. Look for him to stay in the 3 spot and continue to thrive. LF Yoenis Cespedes - Cespedes remains the 4 hitter in 2.0. He's been an RBI machine since he's been traded to Boston. He provides some power behind Ortiz which is very well needed by the Sox. Hopefully he can continue to shine and maybe work out an extension with the Sox. 3B Pablo Sandoval - Finally a change here. Instead of Trevor Plouffe I see general management making a statement this offseason and signing Sandoval. We need some left handed power behind Ortiz and an upgrade at third base. 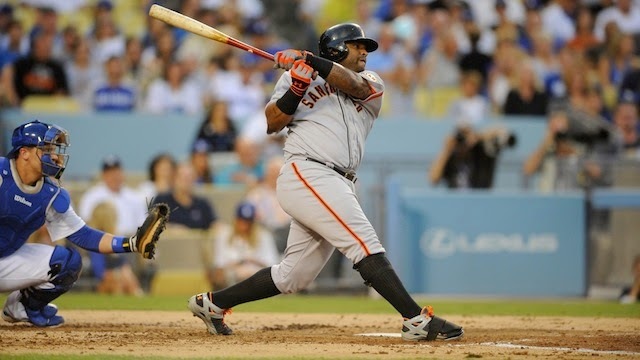 Sandoval provides both of those things and would be a perfect fit for the 2015 Red Sox. Sandoval could solve all the Red Sox third base problems. 1B Mike Napoli - The only difference here is Napoli batting 6th instead of 5th. The addition of Sandoval will bump him down a spot. Nap will take this offseason to recover from his injuries and try to work on his sleeping problems. He is a possible trade candidate but his great glove and veteran clubhouse presence could lead him to stay. Also if his injuries heal, he could recover some of that 2013 power. CF Rusney Castillo - Rusney Castillo, the bright spot of the second half of the season. The young prospect played well in the minors and was called up for the last few games of the Sox season. I said in 1.0 that Rusney needs to get off to a good start, and he did. Hopefully he can continue that in 2015 and be the starting center fielder for the Red Sox. 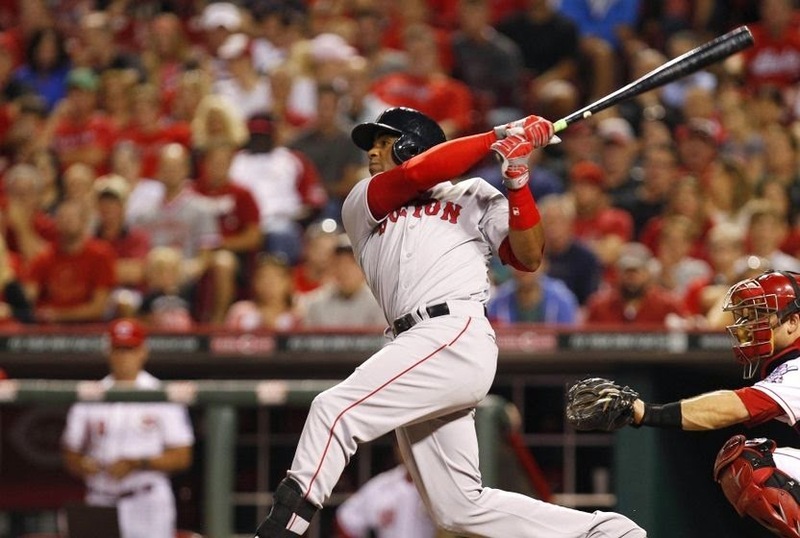 SS Xander Bogaerts - After the struggles in the middle of the season, Xander pounded the ball towards the end of the season. A great sign for the Sox as he will continue to be counted on for a while. C Christian Vazquez - Vazquez was a defensive force behind the plate this season. He also surprised a few times with his bat. The only question with him is what will happen if Swihart gets called up. Only time can answer that question but for now, expect to see Christian behind the plate for the majority of the games. C David Ross - Ross, a free agent, status with the Red Sox is still up in the air. I think it makes the most sense for him to return this season. He will provide a veteran catcher behind Vazquez who will teach and mentor him. 1B/OF Allen Craig - Craig had an awful start with the Red Sox but I still believe in him. Craig was banged up all this year and that affected his swing. He learned how to swing hurt and he continued to swing like he was hurt, when he was healthy. That will be changed this offseason and Craig will return to his 2013 form, providing a valuable backup that will threaten non-performing players. Many think Victorino will be traded after a back surgery, but don't quite rule him out yet. 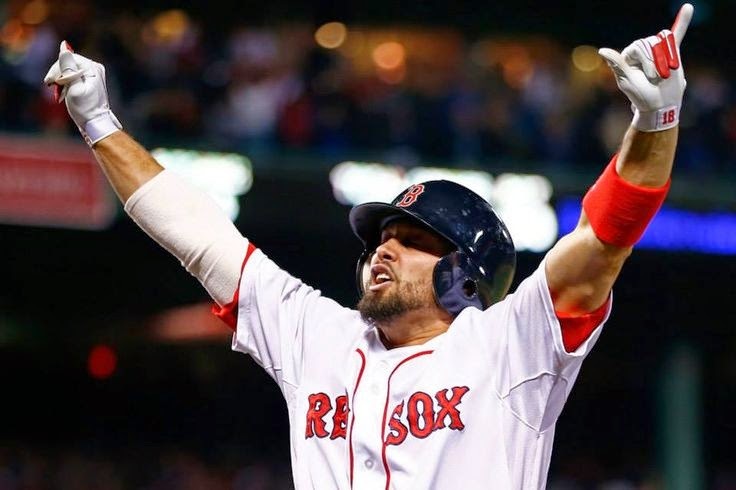 OF Shane Victorino - Projection 1.0 had Victorino being traded to Washington for setup man Tyler Clippard. I now have no faith in Jackie Bradley behind the plate and I don't think he'll make the 25-man roster because of that. Victorino will provide a veteran outfielder to an outfield full of young, new, inexperienced guys. Victorino will only have to play 3-4 times a week because of this which might keep him healthy. He'll be a valuable piece off the bench. IF/OF Brock Holt - Holt was the biggest story for the Red Sox through the first half of the season. His numbers declined throughout the second half of the season as he battled injuries, but his ability to play multiple positions will allow him to make the roster. SP James Shields - As much as I still want to put Lester at one of these spots its looking more and more unlikely. I'd love the addition of James Shields to the front of the rotation though. He is an experienced pitcher in the AL East which provides a lot of value in the Red Sox eyes. The 33 year old pitcher won't be looking for the deal of a Scherzer or Lester which is something Henry is not interested in. Shields will sign 4 year deal and get the ball in Philly on opening day. SP Justin Masterson - My orignal projection had Brandon McCarthy in this spot, but more and more I look into it I see Justin Masterson fitting in here. I think New York will try to resign McCarthy and after a poor ending to the season, Masterson will hit free agency. 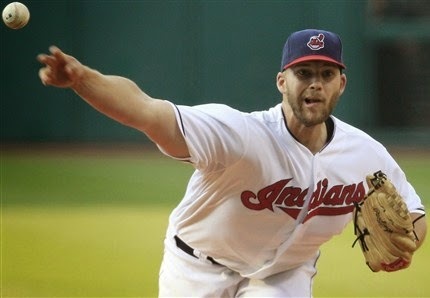 Masterson will be a solid number two starter if he returns to Boston. His recent struggles will lower his price and if he returns ti his 2013 form, Boston just got a steal. SP Clay Buchholz - Buchholz will find his way into the starting rotation in 2015. After struggling he picked it up a little later in the year. Don't forget the numbers he put up in 2013 either before he was injured. Buchholz could be a valuable piece to the Red Sox pitching puzzle, or he could end up being the 5.19 ERA Buchholz. The Red Sox could have landed their future ace in Eduardo. A strong spring training could give him a shot at the 5 spot in the rotation. SP Joe Kelly - Kelly was brought in at the deadline along with Craig in exchange for Lackey. Kelly has impressed in his time with Boston and is great at forcing ground balls. Plus when he was healthy with St Louis last year he put up a 2.69 ERA with 10 wins as he carried the Cardinals to the World Series. 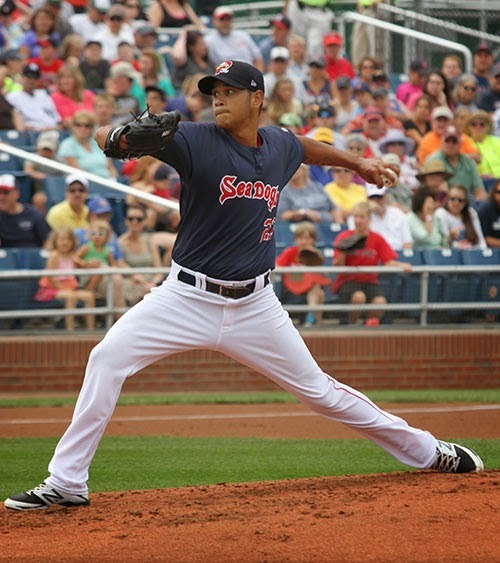 SP Eduardo Rodriguez - Now heres another pitching change from 1.0 to 2.0. Many think Owens would be the first pitching prospect to pitch here in Boston. But many are forgetting the young Rodriguez who we picked up for Andrew Miller at the deadline. Since the trade Rodriguez had went 3-1 with a 0.96 ERA in Portland, and pitched in the Triple-A playoffs for Pawtucket. With the other candidates for the 5th rotation spot struggling late in the season, a strong spring training could get Rodriguez the job. Miller was dealt at the deadline for Eduardo, but a return could be coming. CL Andrew Miller - Miller was dealt at the deadline but is a free agent this winter. 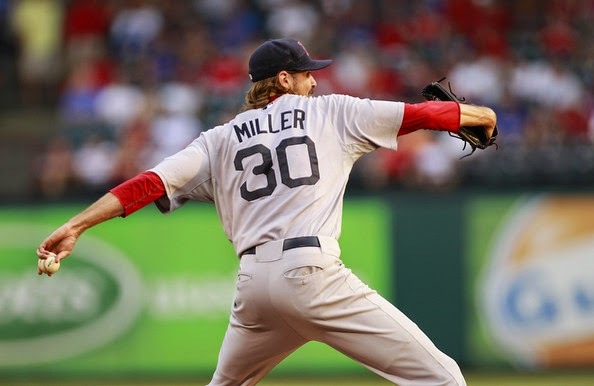 The Red Sox need some lefty help in the bullpen and Miller had expressed interest to rejoin the 2015 Sox. Miller has pitched well enough that he could lock down the closer role. RP Koji Uehara - With Victorino not be exchanged for Tyler Clippard anymore, Koji could be this teams set-up man. The set-up man is something the Red Sox desperately needed this season. Koji struggled towards the end of the season but I think he still has some of his stuff left, which will earn an extension with the Sox. RP Junichi Tazawa - The 28 year old deliver has been great for the Sox in late innings. He's helped work this team out of many bad situations. Tazawa should be a lock for this bullpen. RP Edward Mujica - Mujica struggled in his first year in Boston, but turned things around when he took over the closer role later in the year. He will provide value in the middle of the pen. RP Brandon Workman - Workman proved he's not a starting pitcher in 2014. He should be moved back to the pen where he thrived in the 2013 World Series run. RP Rubby De La Rosa - In projection 1.0 Rubby was starting number 5. He can still be that starter but for now, I have him in the pen. 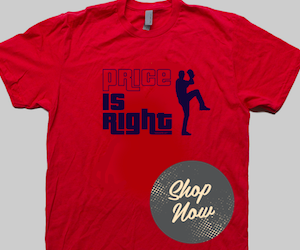 The emergence of Eduardo Rodriguez will force Rubby back into the pen, where I think he will shine. RP Tommy Layne - Left handed pitching is needed in the Red Sox bullpen. That itself could get Layne this job and him pitching well in Boston recently just helped his own cause. This is another way the Red Sox 2015 Opening Day lineup could look like. A few small changes that could turn this team around into a contender. Look for the Sox to address the needs of front of the rotation pitchers, bullpen pitchers and third base this offseason. With these improvements, there is a lot of hope for the 2015 Red Sox.